As many of you know, I am a Murad "ambassador" & enjoy reviewing their products & sharing my experiences with you. Recently, Murad reached out to me about trying their line of facials at my local Massage Envy Spa & because of my dedication to reviewing products for you, I obliged. I had actually never been to a Massage Envy before, in fact my only experience with massages & facials has been on my honeymoon, and those packages were super expensive, hundreds of dollars that seemed reckless to be spending as newlyweds. So walking into the Massage Envy was very refreshing (literally), especially seeing their clearly marked prices (I hate when someone tries to sell me something & I don't know if it cost $20 or $200! ), that definitely fit into my teacher salary budget. Massage Envy touts that they are the "leading provider of affordable, therapeutic massage and skincare services in the United States" & I believe it to be true. After all, getting a massage or facial shouldn't exactly be stressful! Because Murad is the exclusive skincare provider to all Massage Envy Spas nationwide, during the month of July, the Spas are celebrating the Summer Glow Event! During July 5 to August 2, Massage Envy members* and guests receive $10 off a Massage Envy facial. 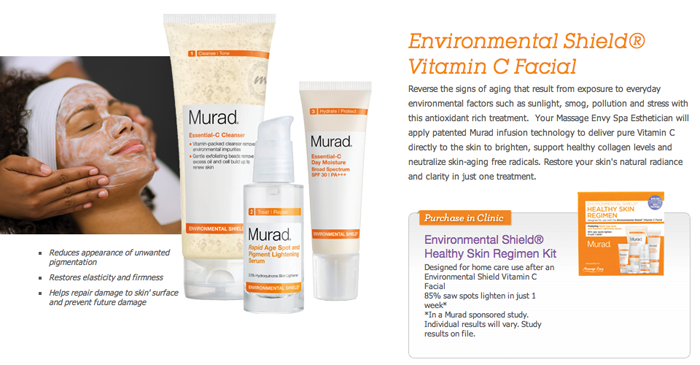 AND if you pre-book an August facial in July you will also receive a special Murad skincare kit! *Massage Envy membership: I learned about this on my recent visit & was super impressed with their membership model. Pay a reasonable $59.99 monthly fee and get 1 facial or massage per month, plus major discounts off any other services you want to also enjoy each month! During my Massage Envy Murad facial, I knew exactly what I was supposed to be doing (nothing like first time anxiety, although their guide for first-timers is also super helpful) & was relaxed to the max! I might have even *momentarily* fallen asleep on the massage table! I was blown away by the attention to detail my Esthetician paid to my skin and its care. She was super knowledgeable and helped me work through ways that I could keep my freshly polished skin in tip top shape. The best news? The pockets of blackheads around my nose and chin are greatly diminished, & I haven't had even a blip of a breakout since! 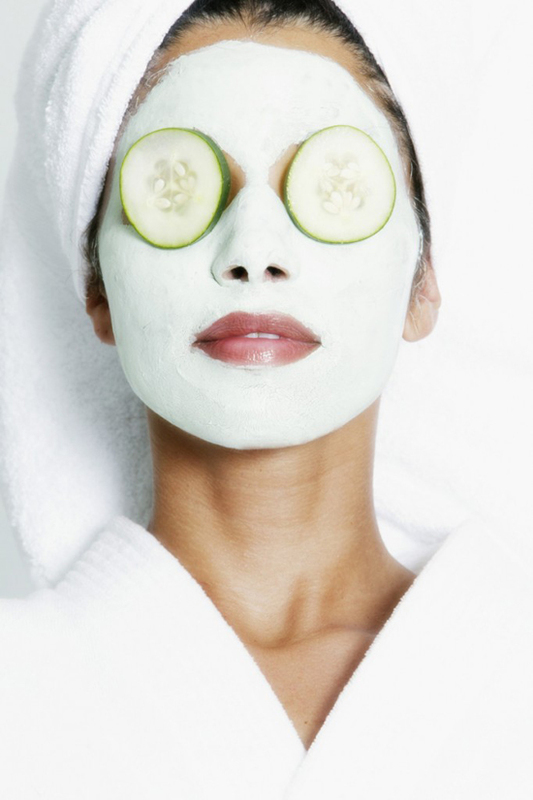 If you think that facials are only for celebs, think again! This is certainly going to become my every-other month treat to me, myself & I! You can even use the super simple scheduler on the Massage Envy website & totally feel like a rockstar. And today, I am super excited to be teaming up with Murad to giveaway an exclusive Environmental Shield Healthy Skin Regimen Kit sold only at Massage Envy Spas! Enter using the Rafflecopter widget below, & a random winner will be chosen next Saturday (7/25).